by CitiHomes Builder and Development, Inc. (CitiHomes). Central Mall, De La Salle University Medical Center (UMC) & De La Salle University and other convenient establishments & commercial center. 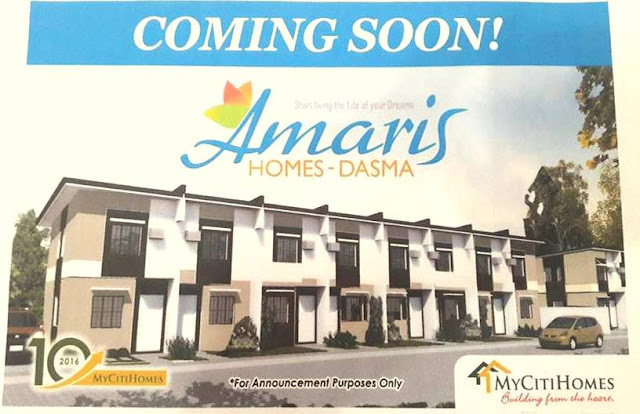 Amaris Homes Dasma is a expansion of Amaris Homes in Molino Bacoor Cavite. A exclusive community in a 3-hectares land building approximately not more than 500 townhouses. All units has provision for 2 bedroom, 1 toilet and bath and provision for carport. They already launched the Ground Breaking Ceremony last September 17, 2016. Available thru Bank & In-house Financing scheme. PAG-IBIG Financing will be a possible option soon. 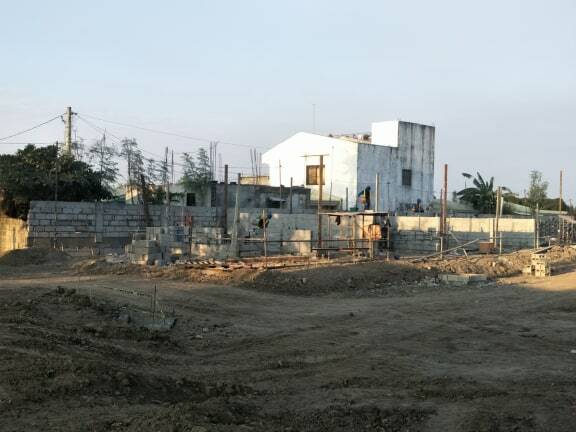 Below is the latest site development of Amaris Homes Dasma as of October 2016. Amaris Homes Dasma full breakdown sample computation will be posted here soon when it already available & finalize.